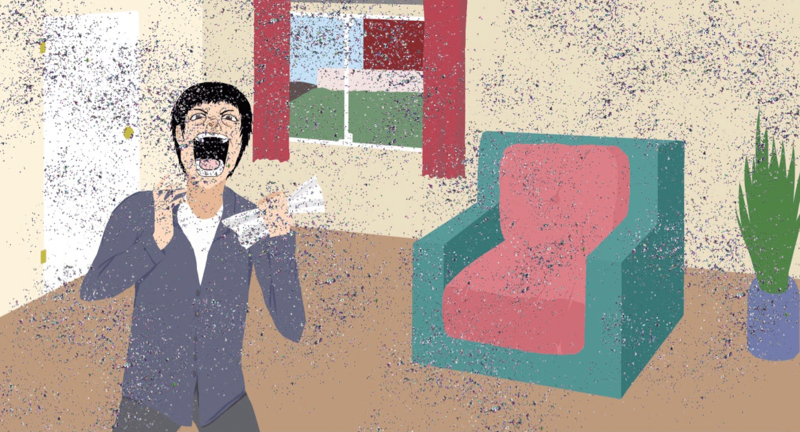 Event Execution: 3 Things Every #EventProf Needs to Learn from "Revenge Glitter"
You may remember that viral video – where someone receives a letter in the mail, opens it, and glitter goes everywhere. Hilarity for viewers, but anger for the receiver ensued. Merely offering to send letters to your ‘enemies’ full of glitter – and the frustrations that result in pouring glitter all over your desk, clothes, or anything else where you open your mail – quickly went viral. And countless ‘competitors’ began to appear out of the ‘karma woodwork’ as well. Today, it’s not hard to find a way to ship your enemy glitter anonymously. Or a multitude of other weird things. What in The World Does Shipping Glitter to Your Enemies Have to do with Events? While Carpenters story may not be the best example of ‘well planned out execution’ he at least had enough wits to during the madness, to sell to someone who was capable of executing. The person that ended up purchasing ‘Ship Your Enemies Glitter’, Peter Boychuk, had the marketing wits to continue leveraging engagement after an event (sound familiar? ), as well as the staff and facilities to actually stuff and ship envelopes full of glitter, day in and day out. In the world of events, all the best intentions don’t always execute the way you want. Event speakers cancel last minute, event agenda printing mishaps, the possibilities are unending, that’s what it’s important to have onsite event execution – a team that works for you, with you, and empowers your event. Boychuk, the now owner of Ship Your Enemies Glitter’s website, has taken the token famous website, and built a brand – a brand that doesn’t just sell glitter bombs in envelopes: friends can ship friend’s bacon, a cupcake that is actually horse manure, and cards that don’t stop playing annoying music for 3+ hours once opened. As every event professional knows, events are an extension of a brand. And the hype of an event – the engagement of an event – is just as important for the attendees, as it is the brand. If you read about the entire thought process behind Ship Your Enemies Glitter,Carpenter explains how it came to be – and in short, it was a side project to help spark some innovation and creativity to what seemed to become the mundane of everyday life. Event professionals know the importance of event innovation. The assumptions, needs and wants of event attendees are constantly changing – which is one of the reason MeetingPlay’s event technology and mobile event apps continually surpass expectations and industry standard results! To sum it up, While Mr. Carpenters expertise was eventually revealed – he happens to be a ‘serial entrepreneur’ with quite the background in SEO – his ‘Ship Your Enemies Glitter’ website took an almost novel idea, and transformed the way the world ‘pays karma forward’ to their enemies. Carpenter even admits, in several of the articles that discuss his phenomenon, that he had no intentions of actually seeing this become a huge success. In the world of events, if there’s one thing every #EventProfs knows – never be unprepared! Take the good from this glitter experiment, and remember perhaps the most important message Carpenter gives out to the world – “He [Carpenter] understands the limits of what others can do for him and is grateful for what they can do. And even if revenge is a powerful motivator, he knows saying thank you may be even bigger”.